We had some great sightings this morning – First a herd of Buffalo enjoying themselves at a Waterhole, then four Lions trying to hunt some Buffalo and finally three White Rhino enjoying the sun after a mud bath. 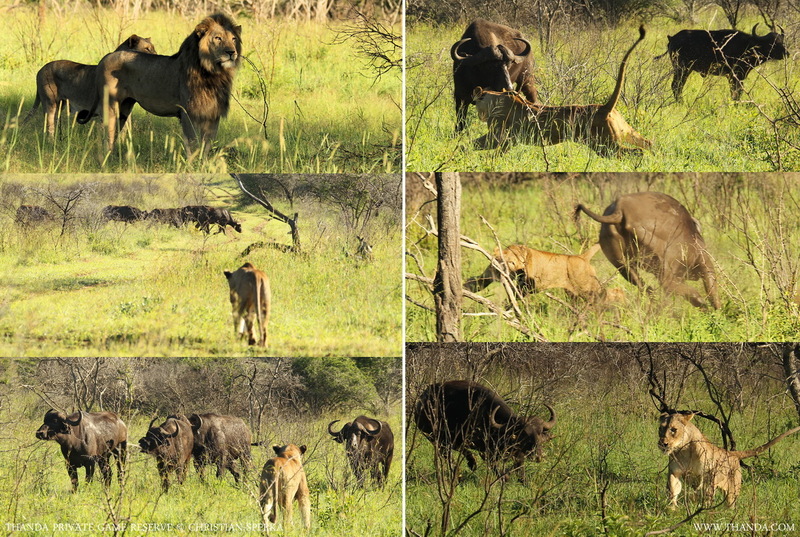 The guests on my vehicle were especially impressed with the Lion-Buffalo interaction. It was not always clear who was the hunter, and who the hunted? The Lions gave up at the end and the Buffalo moved on. 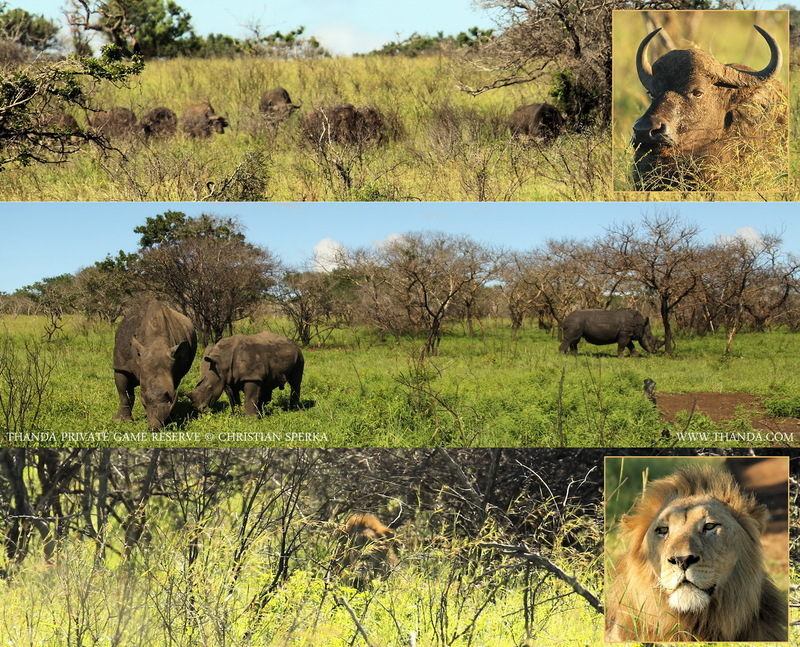 At one time we could see all three “Big Five” species from one spot : looking to the left > the Lions / looking straight on > the Buffalo / looking to the right > the Rhinos. The three landscape images below were taken without moving the vehicle!